When her father, the Grand Duke, tells the lovely young Princess Tora of Radoslav that she is to marry the aged King of Salona, she is appalled and horrified. But no amount of pleading by her will change her father’s mind. So Tora decides that she must find a way to see her prospective husband without his being aware of her presence and then try to find a way to escape her awful Fate. Since she is a talented musician, she has little difficulty in persuading her dear friend, Professor Lazar Srejovic, the nation’s greatest musician, to allow her to join his famous quartet for a concert at the King of Salona’s Palace. She devises a cunning plan to escape from the Palace of Radoslav, so that her father cannot stop her and joins up secretly with the Professor’s quartet to travel by carriage to Maglic, the Capital of Salona. But on arriving at an inn on the way disguised in peasant dress, she is terrified to expectantly overhear a sinister plot to murder and violently overthrow the King of Salona and seize his country by force. 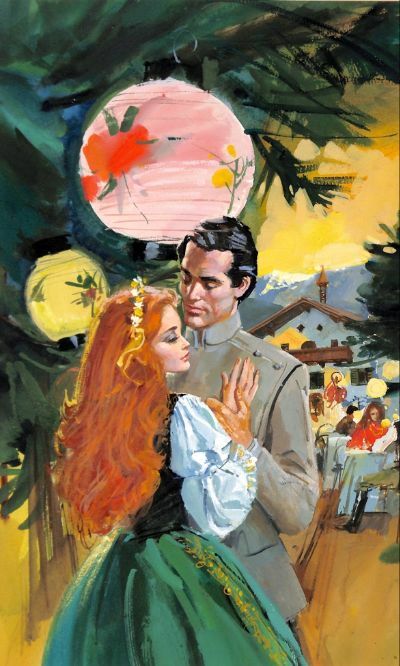 Her life is now in danger, but, when a dashing and handsome stranger comes to her rescue when she is hiding in a wood near the inn, she loses her heart to him utterly in a moment and just as quickly loses all hope that they can ever be together. And her future is sealed for ever with no hope of love and happiness.